With an FSA, you elect to have your annual contribution (up to the limit set by the IRS) deducted from your paycheck each pay period, in equal installments throughout the year, until you reach the yearly maximum you have specified. The amount of your pay that goes into an FSA will not count as taxable income, so you will have immediate tax savings. FSA dollars can be used during the plan year to pay for qualified expenses and services. A Healthcare FSA allows reimbursements of qualifying out-of-pocket medical expenses. 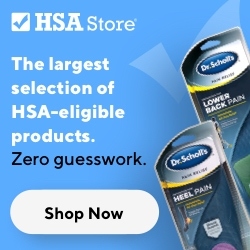 A Limited Purpose Medical FSA works with a qualified high deductible health plan (HDHP) and Health Savings Account (HSA). A limited FSA only allows reimbursement for vision and dental expenses. A Dependent Care FSA allows reimbursements of dependent care expenses, such as daycare, incurred by eligible dependents. Is an FSA Right for Me?